【Indonesia】Learning about inorganic wastes with fun! Children in Sukabumi Regency Model Elementary School learnt treatment on inorganic wastes through the nature game with fun. 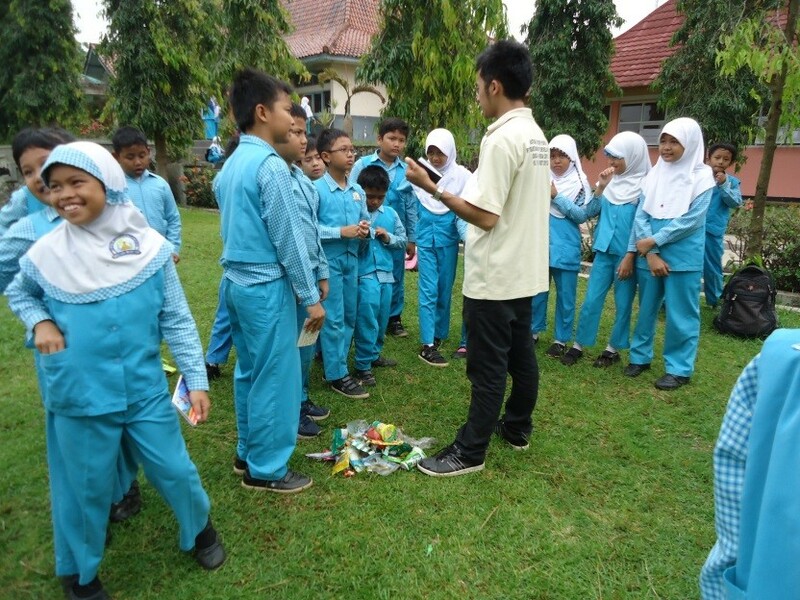 After given ice-breaking activity to cheer the children up, they were told to choose their favorite animals and each one must be different from the other. Then they were told there were no food and must gather three "fruits" in different colors to ease hunger. In this nature game, "fruit" means inorganic gabage. 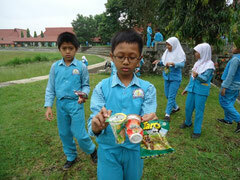 So children gathered all garbages around the school and the result was an incredible collection of inorganic garbage. CFP coordinator gave exlpanation about kinds of garbage to the children. Organic garbage constiutes materials that come from plants, animals, agricultural produce or in fisheries. These kinds of garbage are easy to process naturally. Household garbage are mostly organic such as vegetable left-overs, fruit peelings, leaves and food scraps. On the other hand, inorganic garbage comes from natural resources that are not renewable like minerals, petroleum and those processed from certain industries. These are non-degradable by nature and it takes a long time to process them naturally. 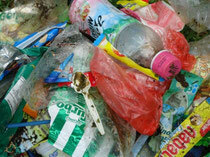 Inorganic gabage from households are bottles, cans, plastic bags, and so on. 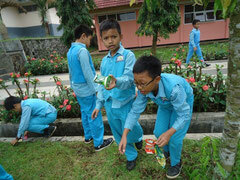 Children were also taught how to manage organic and inorganic wastes, such as making cmpost with organic wastes, and recycle or reuse inorganic wastes. Now they must be professionals of waste management!